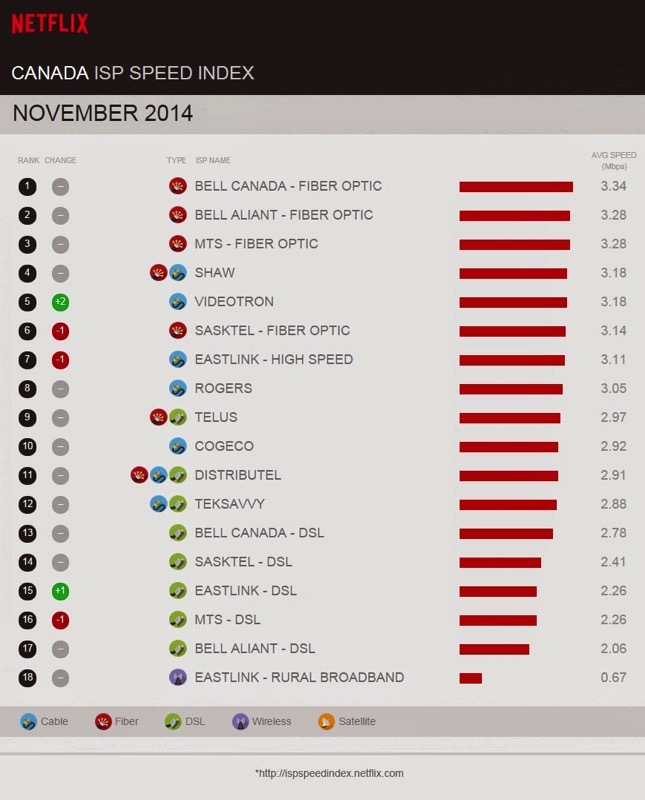 Netflix has released their November ISP speed index which again includes performance of Canadian internet providers. No major changes occurred other than Videotron jumping up a couple spots. The average speed for the top 10 ISP services are pretty similar for the most part. Netflix notes year-over-year performance compared since November 2013 has seen increases for averages speeds in the U.S. and European regions. As for Canada, Netflix only started releasing ISP speed data since March of this year, so it’ll be interesting to see what they observe once a year’s worth of data is available.